We Buy Them! Ship Them & Get Paid! Send Us Pictures & Get Quotes In A Day! A family run scrap metal yard in every year of its existence, Rockaway Recycling has always led by the phrase, “Fair Weight… Fair Price.” While many scrap metal yards get a bad name for poor service and management that only cares about themselves, we pride ourselves on friendly services, whether it be our pick up service, container service, answering phone calls or the simple unloading of cars at our facility in Rockaway, NJ. Click here to visit our main scrap yard website Rockaway Recycling. Rockaway Recycling can help you classify the type of catalytic converter you have by using the pictures and descriptions we have posted on our website Catalytic Control. These prices are based on full catalytic converters. Our scale managers will determine the volume of your catalytic converters when they see them in person. Bring your catalytic converters in to get the most current price at Rockaway Recycling. 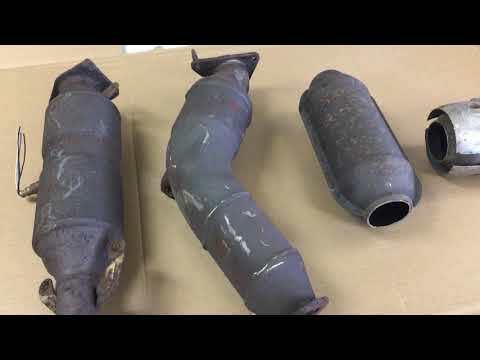 We buy a wide variety of types of Catalytic Converters, from domestic, pre-cats, aftermarket, diesel, Ford, GM, and many other brands and kinds. You can see a full list of our scrap catalytic converter prices directly on our website. If you have questions about the types of converters you have, you can always contact us on our website.